(This comment was offered in response to the spate of heated exchange between Second Finance Minster and the veteran journalist Dato Kadir Jasin on growth numbers, the more controversial 3.1% fiscal deficit target for 2016, which is most unlikely to be achieved and the upcoming budget 2017). Calling on the Government to address structural reforms in Budget 2017, Amanah’s Dr Dzulkefly Ahmad says it should not merely trot out show-case numbers to show all is well. 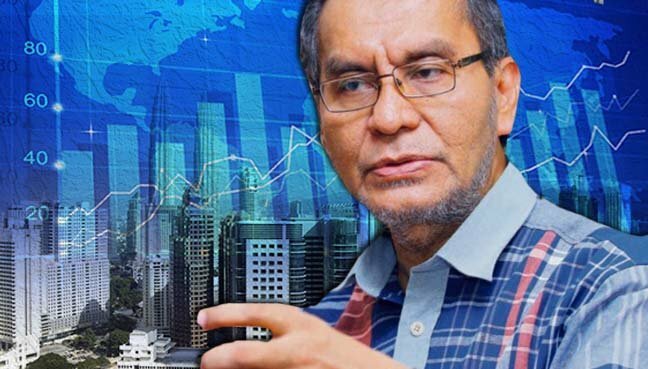 PETALING JAYA: The Federal Government should stop its obsession with macroeconomic numbers and focus instead on implementing structural economic reforms in preparing Budget 2017, says Amanah’s Dr Dzulkefly Ahmad. Speaking to FMT, Dzulkefly, who is Amanah’s strategy director, said when Budget 2016 was recalibrated in January this year, one of the important targets was to maintain a budget deficit of 3.1 per cent, rather than a worrying 4.0 per cent deficit. Dzulkefly said while the government then slashed its expenditure budget by RM9 billion to meet the deficit target, in the first half of 2016 its operating expenditure had expanded by 2.1 per cent, while development expenditure increased by 30 per cent. “As reported, total revenue that was projected to drop by approximately 1 per cent for the whole of 2016, actually fell by almost 10 per cent in the first half of 2016,” he said, adding this meant for the first half of the year, there was an estimated RM17 billion shortfall in revenue. Hence, Dzulkefly said, the million dollar question now was whether Putrajaya was still capable of meeting the targeted 3.1 per cent budget deficit. He, however, said it was more important for Putrajaya not to repeat the mistakes made regarding the economy, and not to be overly obsessed with macroeconomic numbers. “Doing more of the same while simply paying lip-service to the need for a higher performing economy, without structural reforms does not help the anaemic economy and its productivity,” he said, adding this only served the rentier-class and the privileged few. He said more concrete measures, other than cash-handouts, must be put in place to get a higher income for the Bottom-40 (B-40). According to him, the solution to the problems faced by the Middle-40 (M-40) does not lie in BRIM cash-handouts as this will only doom the M-40 to remain in the middle-income trap. Debt-based consumption is similarly ‘unsustainable’ as the household debt is currently reaching 89.1% of GDP. “Misallocation of resources must also stop and the importance of education and upgrading of skill-sets in capacity building of the human capital must not be compromised”. Dzulkefly said it was high time to dismantle monopolies which were distorting the market and disallowing for better competition among genuine business enterprises, as this would help keep prices down. “Finally, our obsession and penchant for show-casing ‘numbers’ have actually deluded the people into believing that all is well with our economy. COMMENT: The last time the Budget 2016 was recalibrated in January this year, amongst the important targets was to ensure that the the budget deficit at 3.1 percent of Gross Domestic Product (GDP) would be maintained as set in Budget 2015. With the global crude oil experiencing a precipitous fall then, the recalibration was aimed at averting a budget deficit to GDP of 4.0 percent. It was also to avoid a sharp worsening of business and consumer sentiment. Not the least was to avoid a sovereign rating downgrading. For the record, RM9 billion expenditure cut were put in place as to keep budget deficit at 3.1 percent of GDP (at RM39 billion). Total revenue that was projected to drop by approximately 1 percent for the whole of 2016, actually fell by almost 10 percent in the first half of 2016. Revenue collected in the first six months of RM96 billion is actually about 44 percent of total revenue projected for the whole year of 2016. Hence there is about RM17 billion shortfall, in terms of revenue for the entire year. Not too bad but still worrying to say of the least. But more disturbing is on the expenditure-side. Operating expenditure has expanded by 2.1 percent and 30 percent in terms of net development expenditure in the first six months. While arguably needed in term of supporting a slowing economy and maintaining growth, this has surely caused concern. Total net expenditure has actually climbed by 5.4 percent in the first half of 2016. Will the federal government now capable of achieving its targetted fiscal deficit of 3.1 percent of GDP? The twin tasks of raising revenues while managing expenditures would be onerous much as it seems less of an urgency given a slowing global economy and persistent headwinds moving forward in the second half of 2016. It is perhaps more pertinent to address the upcoming budget so as not to repeat perennial problems of the economy. Obsession with macroeconomic numbers including but not limited to growth and budget deficit, has time and again deluded us to believe that we are doing well. Doing ‘more of the same’ while simply paying lip-service to the need for a ‘higher performing economy’, yet not committed to real structural reforms of the economy, will neither do any good nor appease any sections of the Bottom-40 (B-40) and the Middle-40 (M-40) nor the genuine business community. Yawning divides both in income and wealth remain unattended, save through ‘cash-handouts’ of Bantuan Rakyat 1Malaysia (BRIM), which is obviously unsustainable in the longer run. Debt-based consumption is similarly ‘deceptive’ as household debt reaches 89.1% of GDP. Finally, while we are very hopeful of escaping the ‘Middle-Income Trap’ soon, we are nonetheless still stuck in our obsession with numbers, which regrettably do not truly represent the real matrix of happiness and prosperity for the citizenry. DR DZULKEFLY AHMAD is strategy director, Parti Amanah Negara.